pchgames.com – PCHGames. A place where you can play for fun and win amazing cash prizes and more. Creating your account for PCH Games. If you register at PCHGames.com you will get a chance to win over $1,000.00 Instantly and earn a bonus entry in PCH $10 Million Dollar Sweepstakes. —- Get all the PCH Opportunities! —- To get started with PCHGames to play you simply have to register and make a pch account games. It’s easy to register and it’s free! First you need to choose a screen name so you could play all their PCH Games. You will be prompt to enter your email address so they can confirm your account authorization. Further more you will have to choose a password, keep in mind that these days password must be choose wisely. So no one could hack your account. Keep following the on-screen instructions to register a account with PCHGames.com. At the end they will ask you if you want to subscribe to their PCHPlay&Win Newsletter. I’m looking forward to see my dream comes true. With 10 million dollars I can do so much for the things I’ve planned to do. Not only helping myself & family but for those who needs help also. Especially, for “Smile Train” (children with defected facials who needed surgeries). Bless PCH for changing lives. I, Parmit Singh be honored to Winning The Publishers Clearing House Sweepstakes & Or Giveaways=PCH The NAME which SPEAKES 4ITSELF,…PCH,.. I, very much be HONORED as I’m Privileged to Meeting THE ELITE MEMBERS Of THE FAMOUS PCH PRIZE PATROL In My NEAR FUTURE. So FAR, IT’s BEEN NERVE WRECKING HAVING To BE CERTAIN Of MEETING ALL REQUIREMENTS IN THE OFFICIAL RULES w/BIT Of CONFUSION Or ENGLISH BEING My SECONDARY LANGUAGE And NOw THAT I, FEEL IM GETTING IT DOWN MUCH MUCH MUCH BETTER THAN BEFORE, ITS STILL NO SIGN Of THE PCH PRIZE PATROLERS,… WAZ THE HOLD UP. HOW MUCH LONGER DOES ONE HAVE To WAIT, PLEASE. In NEAR FUTURE & HAVING LEFT BEHIND @ LEGACY WELL WORTH REFLECTING ON 4YEARS To COME. I, LOVE To MAKE HISTORY w/PCH. Sin Cere APPRECIATION 4THOSE LAYING OUT THEIR SOUL DAILY In ALL Of WHICH YOu ALL DOING 4Us CONTESTANTS & FANS 4ROM THE TIME IT ALL STARTED YEARS AGO TILL THIS MOMENT & GOING STRONG w/NO SIGHT Of SLOWING,… . PCH COMPANY WHICH I FEEL As IT SHOWS Is FAR MORE THAN JUST TO MAKE $$$. I, WUD LOVE To BE @ PART Of SUCH @ COMPANY, PLEASE. HELLO PRIZE PATROL, I am ready to open the door after you knock it. I have been looking forward to receiving that “Win It All” Superprize. $2,000,000.00 cash upfront with those beautiful roses and my big fake check for $10,000.00 a month for the rest of my life. Along with a beautiful Lincoln MKZ will be great since I haven’t a car at all. So I’m excited about Gwy 8800,8802,8187,8186 and any other Gwy. So please activate my codes or buttons or what ever I need to activate. I thank PCH in advance for winning the superprize of $10,000,000. SEARCHING TO WIN THE $1,000,000.00 A BIG WOWZERS AND HEAVENLY TIME. SO.WIN SHALL I MEET YOU HERE IN OREGON ?? Had trouble entering activation code. Would love to win but I find there is always an offer but who wins? What in I win to become a Millionaire on December 23rd,2016? I would like to have my ohana there to meet the Publisher Clearing House Team. This would be a Special Moment! To be able to have a dinner together as a family and celebrate this special moment. on the Big Island for the locals who have a difficult time with limited work opportunities. Also to start looking for a location and finalizing a location. In January I would like to start to plan my 2017 Business. and also to help my sister look for the best doctor. and Okinawa. Since my mother was born and raised in Okinawa I would like to take her home to visit one last time before she gets too old to travel. She was brought to Hawaii married as a Picture Bride. After I will travel for buying merchandise for my business. I am a simple person , and enjoy living a simple life style. My daughter needs a car because my grandson will be starting school soon and she wants to continue her education. I would like to payoff all my bills and my house mortgage. Repair my roof and to add two extra rooms with handicap setup incase my parents visit. Also to put a fence around my property so my dogs could run free. I love my dogs as if they were my children since my daughter is all grown up and living her own life. Thank you PCH Publishers Clearing House​ for this exciting opportunity! PCH each time i write something, i told i wrote it before so now i don’t know what to write. Ofcourse i am still working hard day &night. Take care PCH. Cannot enter code, it freezes up when trying to enter code. Please enter code for me it’s PC338. Sure could use a win, on disability and most likely to lose my home. Help! I am almost a whole year waiting to win! My bucket list is calling me OUT!!!LOL! This will be a REAL Life Changeing adventure! It is sooooo Hard to wait for!Need to send all my loved ones Bibles!! !To teach the children who Sweet Jesus is! PCH Gwy No. 6900 I would truely love to win. Pch Frontpage Search 2X Entries & Win $100.00 Cash Prize NO-6650 Plus, Win $2 Million + $10,000.00 A Month For Life ! +aA Lincoln MKZ Prize No-6900 Activate ! In it to Win it on ,June 30th 2016 $2Million plus more. I ,TRACY DIAZ ; enter the PCH WIN IT ALL , I ain’t sure if it went through,but I’m with faith y’all will notify me of such enter..
Gracias Sweeepstakes, PCH, por la oportunidad de soñar y algunos de los competidores lo podemos lograr, todavia me encuentro en la competencia y recclamo los premios 6900, $200.000.000.00, $10.000.00 a la semana de por vida, un auto nuevo Lincoln MKZ, mas 3.000.000.00 por la casa de mis sueños, asi que los espero a los Patroles en el area de Miami, en mi casa. Hasta Pronto. I am hoping to win it all at Pch. Sure hope Dave Sayer, Danielle Lam, and todd Sloane see that I am trying my hardest to win ten million dollars at pch. Everyone’s dream is to live a good life with out worry and stress. To win the ten million dollars would make life more like heaven. I want to beable to have this experience, and reward my children, husband, mother, sister, brother and I can go on an d on. I want to have this experience in my life. I love to play Mahjongg Toy Chest, and monkey Gems, they are my 2 favorite games to play!!! I try to enter everything I can so I can have a smile on my face come April 29th. I hope there is a chance for me. MY husband doesn’t believe it, and many people don’t either but, I do. It would be a blessing if I could win this money. It would answer all my money worries. I would help others who are in need. Hi pch! It would be truly a blessing to win 7000 a week for life or any prize. I am a nurse here in cali, but been off for a few months due to a recent illness. Please enter me in sweepstakes for april 29th, I am already excited. Thank You PCH Team for allowing me a chance to be one of your sweepstake winners. I am already excited! I LOVE MY PCH GAMES !! APRIL 29, 2016 “DELIVER BIG CHECK FROM PRIZE PATROL ELITE TEAM. SECURE! SECURE ! MY ENTRY TO WIN WITH PRIZE NUMBERS. PCH &PRIZE PATROL I HAVE 3 ENTRIES MEGA Millions Dollars PRIZES THAT ARE CONFIRMED TO WIN on April 29th 2016 . ACE’S HIGH HAS BEEN CONFIMED TO WIN FROM Gwy No. 6900 + I could Win $10,000,000.00 from Gwy No.6900+ Win $7,000.00 A Week For Life 6900. ALL THREE ENTRIES ARE CONFIRMED for me To Win. PCH I WANT TO WIN AND I WANT TO WIN and I Want to Win for my Family! So Please I Need my Name and my Prize Number Eligible to be Selected the Big Winner Take A Special Early Look for A Winner. I Feel So Incredible Soft on he Endside. It’s A Beautiful Morning !!!! Today here. Thank You God For Another Amazing Day. IN IT TO WIN IT ALL! By playing my PCHGAMES give you a chance to win Instantly by Winning Mega Prizes’BONUS PRIZES, Cash Sweepstakes Prizes’ VACATION TRIP ‘ CARS ‘Electronic Goods. And I WANT TO WIN$5’000.00 A Week “Forever” PCH & PRIZE PATROL THANK YOU FOR OPPORTUNITY TO BECOME A MILLIONAIRE MAKING WINNER. YES, YES, YES…….I WANT TO WIN THE 7,000.00 A WEEK FOR LIFE AT PCH COME APRIL !!!! wHAT A BEAUTIFUL SECURE WAY TO RETIRE WITHOUT ANY WORRIES !!!!! pLEASE, I WANT TO WIN !!!!!!! Win $10,000.00 instantly and $ 1,000,000.00 thereafter. Yes I Love my PCHGAMES WHERE YOU WIN INSTANTLY WIN CASH AND PRIZES” THE GOLDEN OPPORTUNITIES TO WIN$7,000.00 A WEEK LOOK FOR A SPECIAL WINNER from Gwy No.6900 On April 29th/ 24 hours of cash & prizes A winner every hour and Cash Prize Enhancement Entitles me Forthcoming Prize Number will Definitly be added to Winner Selection List with Eligibility for a Special Cash Prize. 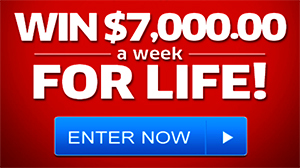 Up front $70,000.00 + $7,000.00 a week For Life Set For Life Superprize. Please Secure all my Entries To win on 4/29. I will keep the Faith and My Dreams. Pch I DO WANT TO BECAME THE NEXT MILLIONAIRE MAKING WINNER FOR LIFE. I’m in it to win it all. I Will Never Doubt Myself Again and Keeping my Faith means keeping myself in The Winning Line./ I AM CLAIM A BONUS ENTRY FOR A MILLIONAIRE MAKING SUPERPRIZE TO “WIN INSTANTLY” $10, MILLION SUPERPRIZE Gwy No. 6900 ATSTAKE ALONG WITH 4 CHANCES TO WIN IT. Entries have been Processed. I AM INIT TO WIN IT. I am entering to win $10,000,000 with PCH Giveaway No. 69OO. Thank you PCH for all the opportunities to better our lives. I AM HOPING TO WIN SOME DAY !!! SO I CAN SPREAD THE LOVE !!! Dear Pch, I want to win a beautiful 3,000,000 dollar home and 5,000 dollars a week for life and Lincoln Mkz car. I really like the challenge and fun with Pch games. I enjoy it very much. Please activate my number and superprize pch 6900 for February 26,2016. Sincerly , Ma White. Hello Prize Patrol, I want to be able to spread the love, so please help me to win the 5,000.00 forever so I can accomplish my DREAM !! You should send clear, concise confirmations to people. (Comfirming entries) Confusing process/ format. PCHlotto card — the VIP Golden Ticket. PCH VIPs,THREE more special PCHlotto cards — a $5OO.OO card, a $5,OOO.OO card and a $3O,OOO.OO card! I would like to claim a win for the $10,000,000.00 for the things I would like to give to charities , and people in need and for my self and family. It would be wonderful to be able to give back wen I haven’t been able to all of my life. This is just a dream and hope it could happen but don’t expect it to happen but if you don’t try, then you don’t have a chance to win. I have found you need to ask and pray for a miracle and sometimes it happens. God Bless Dorothy Martinez. 1/16/2016. The Hospitals for cancer for children are waiting, St. Jude, Texas Children, LBJ Hospital for people who don’t have insurance Ben Taub Hospital and water wells for all the countries that don’t have good water and die because of it. God Bless Pch. Dorothy Martinez. YES I WONT TO WIN. Ok I’m confused I can’t seem to get my lotto cards ? I want to win. Please PCH come to my house with a big check. Last ending the bottom of the game pch sweepstake giveaway enter me for the win. I am trying to win this prize. I would like to win because I need help with a lot of stuff. I never won anything in my life. It’s been a long tense, exciting, angxiety and at times disappointing filled year being a contestant with Pch . When I first started in january of 2014 being one of many people who search and play and pray that they win either a small fortune or come out with a fat win like someone to be recond with(lol) and kudos to all past and present cause man its not easy. Not when you have a job already cause this was like a job in it’s self. . Not when your kids are tuggin on you for at that moment when you have to finish those last few searches or picking those lotto numbers. I would tell them ” if you only knew what im trying to do here”. They don’t care , theres no importance in it for them not even with the Hubby either….hahaha…. I thought about taking all my things and leaving the house just to finish before 11:59 in that days play. No i never did but i have gotten in trouble a few times when dinner was late but they got over it!! Now its “Mom are you ok? Your looking really intense! !”… Lol… Trying to get the basketball in the basket as i hear the last beeps to count down im geeting better. Truth be told I need to win, even if all the above apply about it not happening for me. Not just because im out of work from back in April of 2014 but because I want the prize patrol to come and see my little oasis that I with help from a few family members made about less than 100 feet from my front door where a person can relax , fish, have coffee all that. I don’t own this property but I take pride in it as if I did. (Lucky landlord huh!!). Na, everyone should take pride reguardless. Ooooo let it be Me Prize Patrol!! I’M ENTERING TO WIN PCH.COMGAMES, PCH INSTANT GAMES, AND WILL$10 MILLION DOLLAR SWEEPSTAKES, PLUS I’M ENTERING TO WIN $ 7,000.00 A WEEK FOR LIFE ON OCTOBER 23RD, THNX PAULINE. …. I’M READY TO WIN PCH.COM GAMES, PCH INSTANT GAMES AND TO WIN $ 10 MILLION DOLLAR SWEEPSTAKES SUPERPRIZE, GWY NO. 3577, PLUS WIN $ 7,000.00 A WEEK FOR LIFE ON OCTOBER 23RD, GWY NO. 4900 AND ALL ELIGIBLE ENTRIES OF 4900, THNX PAULINE. …. It would be a blessing to win the $7,000 a week for life. I’ve been struggling trying to make ends meet. I leave it Gods hands. 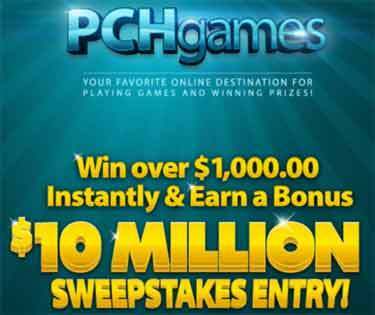 IM ENTERING TO ENTRY TO WIN PCHGAMES.COM, PCH INSTANT GAMES, WIN $ 10 MILLION DOLLAR SWEEPSTAKES, THNX PAULINE. …. Hello pch, search yes I want to win the super prize Gwy no 4950 LP999 $10.000.000.00 I claim my entry and bonus prizes that come with that Big Check also claim my prize event tag for Gwy no 4900 $7000.00 set for life with all the cash bonus prizes with my giveaway numbers I want to win Yes Yes Yes I want to win thanks Pch. , I’M READY TO WINNNNNNNNN, THNX PAULINE. ….